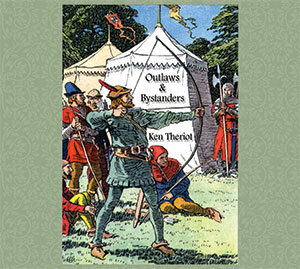 The final large piece of the puzzle for Ken Theriot’s “Outlaws and Bystanders” – its availability on iTunes – is finally in place! A lot of folks have been waiting for this, since mobile devices are probably the main music-playing method used in 2014. I say “large piece of the puzzle” because the album will be added to several other digital music services, such as Amazon, Google Play, Spotify, Shazam, Rdio, Beats Music, etc., in the coming weeks.